There are many ways to describe a church. Many choose definitions that point to organization and structure. 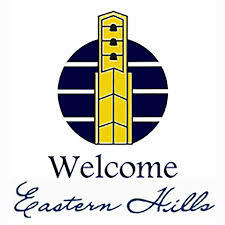 Few, if any, of those would I choose to introduce you to Eastern Hills Baptist Church. Quite simply, we are a fellowship of believers who are in relationship with one another because of Jesus Christ. Our church exists to help anyone find authentic faith and to live out that faith in the world of today. Such faith can only be built on a relationship with Christ which is intellectually sound, emotionally sustaining and which leads to personal involvement. That is why we seek to build quality ministries for every age group including worship, Bible studies, mission opportunities, and family enrichment. You will find a warm welcome if you visit with us. Please let us know of any ways our church can be of help to you.